In a recent article, I discussed the importance of personal branding and how it can open doors for you. I talked about how we would choose a Martha Stewart recipe online over other authors purely because of her name, but have you ever watched her cook on TV? She’s somewhat dry and bland! 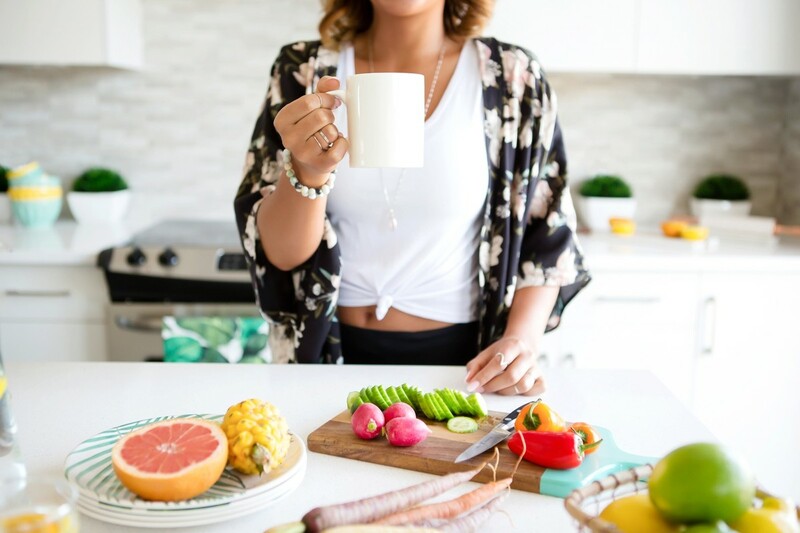 She’s done a brilliant job of building her brand name, but there are other TV chefs who bring much more personality to their brands – Jamie Oliver, Rachel Ray, Paula Deen – their brands play to their personalities! They can all cook, but would you rather watch dry Martha or the Naked Chef? TV chefs can all cook, and probably do it really well, but different chefs appeal to different people. There are personalities some of us love to be around, and others who we find irritating or grating. I probably like some people that you can’t stand! The same applies to your brand. You could be a photographer, graphic designer, or planning to venture into business coaching, I guarantee that there’s somebody that offers a similar service to you. On that note, I want you to ask yourself, “What makes me unique?”. People want to work with people they feel comfortable around, who resonates with them. They want to connect with authenticity, which means bringing all the little things that make you ‘you’ to the table. Let me walk you through some ways of injecting your personality into your brand by using the example of my good friend, Courtney. She’s a health and wellness coach, with a focus on leading a healthy lifestyle! Before you start adding your personal flair to your brand, you need to hone into who your clients are and align them with your business. There’s a lot of directions to take when finding your niche, but the best place to start is by focusing inward. Who do I want to work with? What people are part of my tribe? There’s no point in working with people you don’t want to. This will just lead you to become unhappy and despise something that you once loved. Finding your niche is a great way to understand specific clients intimately. Targeting everyone is a disaster because you won’t be able to provide a personal touch. How Does Courtney Do It? Although “everyone” wants to be healthy, Courtney knows that targeting everyone is far too broad. Instead, she focuses on a specific group of people that align with her values. She’s always wanted to empower hard-working women who feel they don’t have the time to take care of themselves. Her branding efforts and personality aligns with these women, and she focuses what she does for them. There’s a well-worn phrase that goes around in marketing – Content is King. What does it mean? We live in an age of information overload and instant gratification. Before Google, if you wanted to know the definition of a word, you’d have to run your finger down a page in a dictionary until the word was found. Now we can ask Siri to find the answer for us. Just because we have all this information available to us, doesn’t mean it’s all good content. Content needs to express a business’s true intentions. An example is a client that I met in Seychelles. I helped her create a personal brand, develop her website, and grow her Instagram following. Her brand development included professional photography, shooting videos, and writing captivating stories and copy! I invest in my brand and my Instagram feed speaks to my target audience of creative entrepreneurs! Investing in professional photography, a quality website, and the right people to produce copy for you is always going to give you good returns. People want to work with a health coach who can get the results they want! Courtney understands this and tailors her choices of content to appeal to the women she wants to work with. She has professional, personal branding pictures taken quarterly to use on her Instagram and to keep her website fresh. While working with clients she Snaps ‘behind the scenes’ pics showing her audience what it feels like to work with her. Content is everywhere, from websites to podcasts to videos! The production of content has never been easier. Gone are the days when getting yourself out there was difficult. In the past, writing a book was the most fun part, but then approaching several publishers to see if they deemed your book worthy was an arduous process, often taking years before you were published. Now, you can enjoy writing your book and getting it out to the world quickly! Freelance editors can be found through platforms like UpWork. Then websites like Amazon allow you to publish almost instantly. The same goes for video content. People just take their iPhones and quickly record 5-minute videos to upload on Youtube or Instagram TV. You no longer have to wait for your big break to share your stories with the world. The big production studios are becoming a thing of the past. There’s plenty of action that takes place when training people and getting them to be physically successful. With her iPhone, Courtney quickly snaps her day adding them to her Instagram Story for all her fans to see. 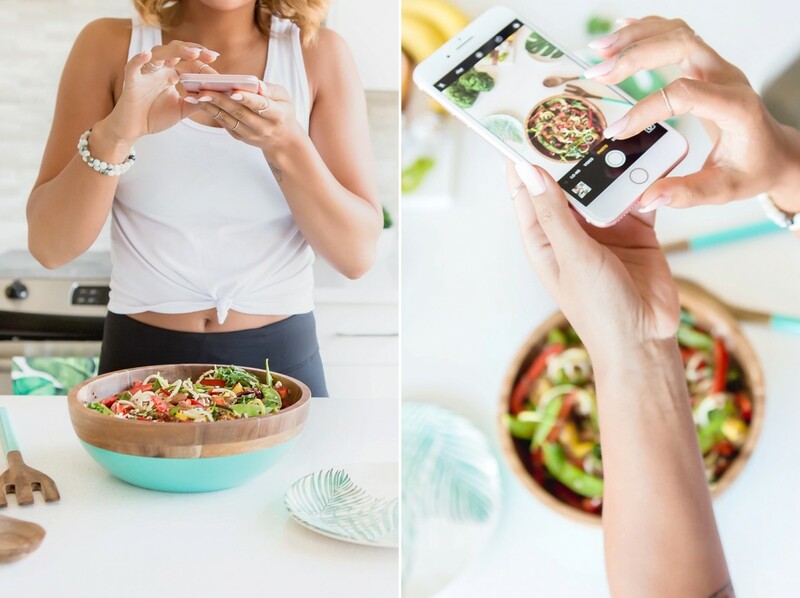 Whether she’s making a hearty salad or recording an exercise session with her client, her fans can easily see what she’s up to! She goes live on her Facebook page and ensures that her fans get to see her face, as the face of the business, on a regular basis. Adding more personality to your brand means sharing ‘you’ with the world. 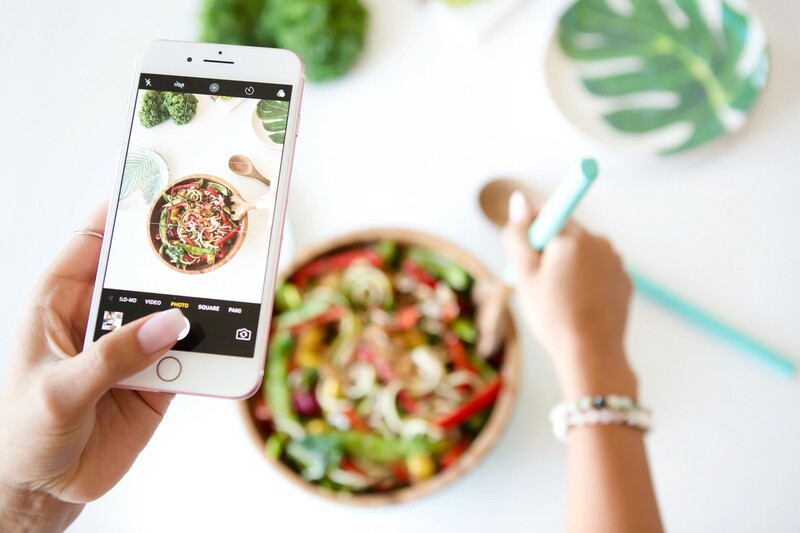 Whether that is sharing your history, and the experiences that have brought you to where you are today; or sharing the new meditation routine or diet you’re trying to start, or sharing the ups and downs of being a working mother. By sharing your story with the world, you will become relatable to the people that matter to you and will become a source of inspiration. The accountability as you try new things is an added bonus! Having lost a family member to heart disease, Courtney knows the importance of being healthy. 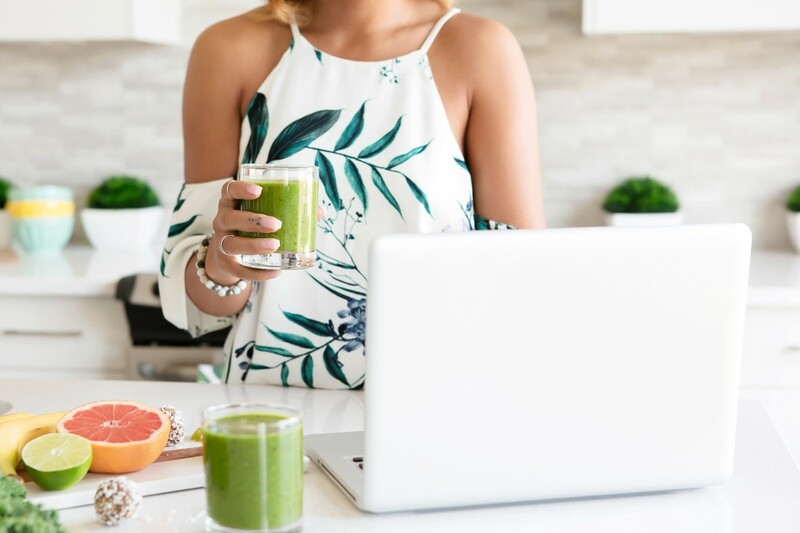 She shares the progress of her own personal health journey from overweight burned out exec, to her current role in coaching others on the healthy lifestyle path. It keeps her real to her audience and accountable for the things she does. Her personality shines, as she shares both her vulnerability and her successes with her audience. Your ‘why’ is the driving force for every action you take. Whether that’s getting up in the morning to jog on the beach, what you’re going to eat at dinner, or choosing your next vacation destination. The choices are driven by your ‘why’. Likewise in your brand, showing people ‘why’ you do what you do is as important as what you do. Your brand’s voice will resonate each time someone hears it. A photography business with a passion for capturing heartfelt, natural moments for their clients will leave clients feeling extra special every time they work with them. However, if someone runs their business solely to make money, they’re probably better off in banking. Courtney’s WHY is simple. 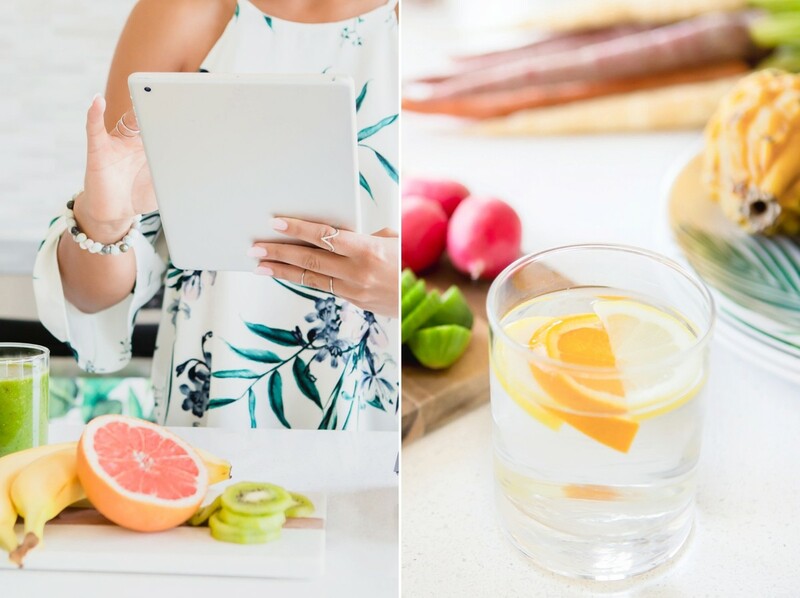 She is passionate about women living a happy and healthy lifestyle. This reflects in her branding and her work. Her customers can feel she genuinely wants to help them and continuously feel supported in reaching their goals. She talks about her why in her videos and blog posts. What the are the key things YOU can do to inject a bit more of YOU into YOUR brand? Let me know the one thing you’re going to do to inject more personality into your brand in the comments.